At our Las Vegas Mercedes-Benz dealership, you’ll find top-quality used cars from numerous luxury brands, such as Audi, Lexus, and, of course, Mercedes-Benz. For added peace of mind, choose a CPO Mercedes-Benz for exclusive benefits like trip interruption and warranty coverage. In addition, we offer an impressive lineup of used models from mainstream makes like Toyota, Honda, and Ford. No matter your tastes, goals, or budget, we can pair you with a pre-owned vehicle that’ll serve you well. 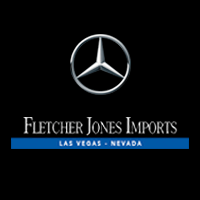 Test drive one of our used Mercedes-Benz vehicles in Las Vegas today!